The best reason to visit El Camino Real in Sunnyvale or Mowry Ave in Fremont is to feast at one of the many Indian restaurants. 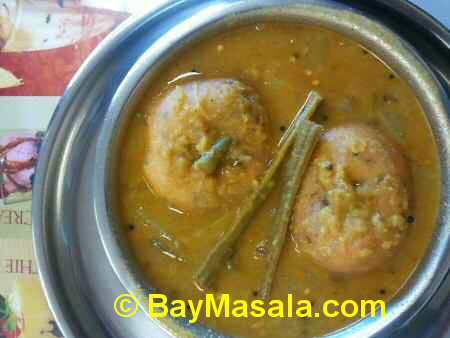 With several varieties of cuisines, Indian restaurants in San Jose, Sunnyvale, Fremont, San Francisco, Mountain View and other towns of Bay Area panders to all Indians, be they from the South, North, East or West. Whether you crave the South Indian Idly-Vada or Hyderabad Dum Biryani, Pongal or North Indian Tandoori Chicken or Baingan Bartha, Punjabi Kadi, or Gujarati Dokhla or Bombay Chaat, you can have them all and more in Bay Area Indian restaurants. If you have a sweet tooth, there are a bunch of mithai shops in Bay Area like Lovely Sweets, Bikaneer Sweets, Bengali Sweets and Raja Sweets where you can indulge till you belch. Vegetarians need not despair as there are restaurants serving exclusive South Indian, North Indian and Gujarati vegetarian food. Hey, some Indian restaurants on El Camino Real in Sunnyvale serve even breakfast. 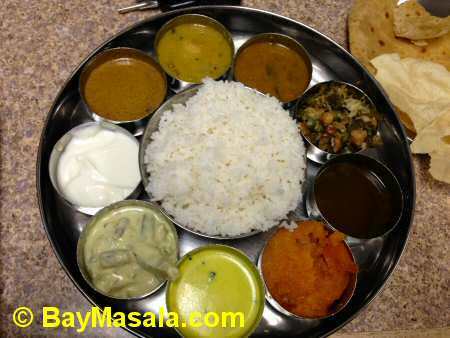 Most Bay Area Indian restaurants serve either an all-you-can-eat buffet or thali or platters for lunch and a la carte menu for dinner.